Happenings presents an Open Air Cinema Screening of 'Adam & Paul’ as a part of their Centenary Cinema programme to celebrate some of the best of Irish Cinema from the last one hundred years. The screening takes place on Friday, September 16th in Herbert Park, Dublin. Gates open at 6:30 PM. 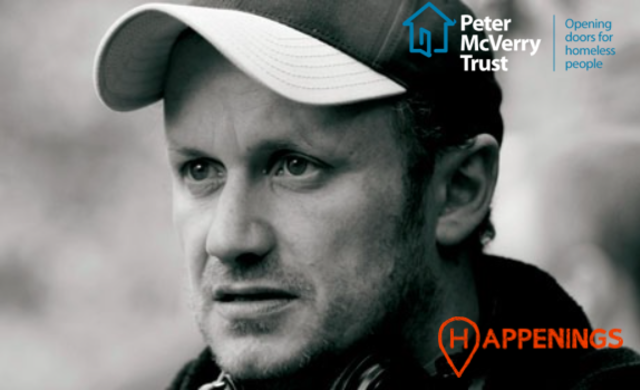 Prior to the screening, multi-award winning and Oscar Nominated Director LENNY ABRAHAMSON with be joined by Peter McVerry Trust Head of Communications, Francis Doherty, and Eoin Ó Broin TD in a panel discussion to highlight the increasing homelessness issue in Ireland. This event will be a great opportunity for everyone to support this hugely worthwhile cause, while learning how we can all help to become a part of the solution. Also in discussion will be the recent international success of the Irish Film industry, which has been spear headed by Lenny Abrahamson and Ed Guiney and their four time Oscar nominated film ‘Room’. Visit www.happenings.ie for further information and tickets.